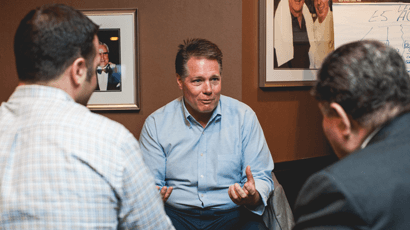 We prepare individuals & business leaders for excellence at work & life. Become an E5 Leadership Academy online member for FREE! Doing what you do everyday, are you getting all the time, money, freedom, and success you want, need, or desire out of life? Get instant access to our free training video on “The #1 Key to Building the Life of Your Dreams,” and you'll also get weekly tips and trainings on how to become a better leader at work & home. 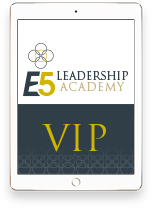 This offer is available for a limited time during the launch of the online E5 Leadership Academy. E5 Leadership Academy kicks off!